From its monuments under the moonlight to watching the sunrise by the river, we can often take for granted just how beautiful and special our nation’s capital can be. And sure, 2016 was full of its ups and downs -- especially for our town -- and who knows what the future holds. So before we try as hard as possible to forget this past year, here are a few reminders of just how breathtaking DC can be. Anacostia River at Dawn from Capitol Hill. The ferris wheel at National Harbor. Boulder Bridge at Rock Creek Park. The US Capitol peaking out. Icebergs at the National Building Museum. The Lincoln Memorial Reflecting Pool. Janet Echelman art at the Renwick Gallery. A sunny day in Georgetown. The Lincoln Memorial in the morning. Fourth of July popping off. US Capitol in Lego form at the Capitol Reflecting Pool. On the steps of the Supreme Court of the United States. View from Iwo Jima War Memorial. Cherry blossoms at Jefferson Memorial. US National Arboretum at sunrise. A bridge to Theodore Roosevelt Island. 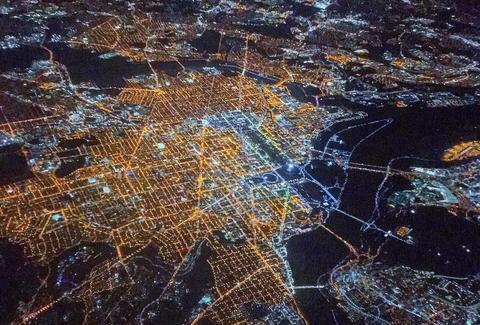 Aerial overhead of DMV by night. Lily pads at the Kenilworth Aquatic Gardens. Georgetown Waterfront all dressed up for the holidays. The White House after the snow. Layla Bonnot is an education policy advocate by day and self-described foodie and explorer of cities by night. When she's not out you can find her cuddling her puppy and binge watching bad TV. Follow her adventures @laylabonnot.